If your company is considering adding Mercedes-Benz vehicles to its fleet, enrolling in our corporate program can give you access to benefits designed to help make purchasing fleet vehicles even easier. Executives currently receiving a vehicle allowance as part of their compensation package are also eligible for special benefits. The Executive Allowance Bonus Program is tailored for these select individuals. 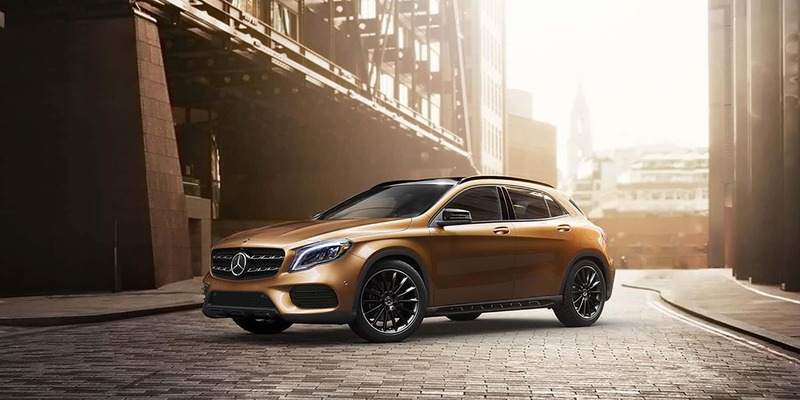 The majority of Mercedes-Benz models qualify for incentives. A) Your company is currently enrolled in the Mercedes-Benz Fleet Program and has an assigned Corporate Account Number (CAN). Disclaimer: Fleet incentives are available on all sedans/wagons/4MATIC® All-Wheel Drive models where applicable. Incentive amounts are subject to change without notice and should be confirmed with your dealer at time of transaction. The Fleet Incentive must be used at time of purchase/lease. Purchaser granted control number must be the buyer/co-buyer or lessee/co-lessee. Fleet incentives cannot be used in conjunction with Diplomat, European Delivery, Courtesy Vehicle Program (CVP) vehicle that has not met the minimum service requirement, Special Demos, certificate programs, control number programs, other Fleet Programs (Corporate Sales, Executive Allowance Bonus (EAB) or Fleet Employee Program (FEP)), or non-U.S. specification vehicles. Once a company is enrolled in the Fleet Program, eligible executives can take advantage of the Executive Allowance Bonus (EAB) program. To take advantage of EAB incentives, executives will need to obtain an EAB Incentive Form with an assigned control number. Executives will be required to present this form at their Mercedes-Benz Dealership. Note, only ONE Control Number per applicant may be obtained per calendar year. The vehicle must be new/unused. Fleet incentives are available on all sedans/wagons/4MATIC® All-Wheel Drive models where applicable. Incentive amounts are subject to change without notice and should be confirmed with your dealer at time of transaction. The Fleet Incentive must be used at time of purchase/lease. Purchaser granted control number must be the buyer/co-buyer or lessee/co-lessee. Fleet incentives cannot be used in conjunction with Diplomat, European Delivery, Courtesy Vehicle Program (CVP) vehicle that has not met the minimum service requirement, Special Demos, certificate programs, control number programs, other Fleet Programs (Corporate Sales, Executive Allowance Bonus (EAB) or Fleet Employee Program (FEP), or non-U.S. specification vehicles. In order for the executive to be eligible for the Executive Allowance Bonus incentive, the applicant’s company must have a Corporate Account Number (CAN). To obtain one, the executive’s company officer must complete a CAN Enrollment Form. He/she may access and submit this online application by clicking on the link below. Then an email or fax of the vehicle registrations to fleetoperations@mbusa.com or (201) 263-7313 needs to occur. Upon review of completed application, Mercedes-Benz USA will provide a response to the applicants business email address within two business days. Approved applicants will receive an EAB Incentive Form with control number via fax or email. For further assistance regarding the application process, please call us toll free at 1-866-628-7232. Visit any authorized Mercedes-Benz Dealer and present the Incentive Form. The executive has the option of purchasing/leasing a vehicle from dealer inventory or ordering through the dealership. The dealer and the executive must complete and sign the Incentive Form. The vehicle must be purchased or leased in the name of the executive listed on the Incentive Form. The fleet incentive must be used at the time of purchase or lease. Fleet incentives are available on all sedans/wagons/4MATIC® All-Wheel Drive models where applicable. Incentive amounts are subject to change without notice and should be confirmed with your dealer at time of transaction. The Fleet Incentive must be used at time of purchase/lease. Purchaser granted control number must be the buyer/co-buyer or lessee/co-lessee. Fleet incentives cannot be used in conjunction with Diplomat, European Delivery, Courtesy Vehicle Program (CVP) vehicle that has not met the minimum service requirement, Special Demos, certificate programs, control number programs, other Fleet Programs (Corporate Sales, Executive Allowance Bonus (EAB) or Fleet Employee Program (FEP)), or non-U.S. specification vehicles. Corporate Program, Executive Allowance Program and Executive Allowance Bonus Program is available for qualified customers only. Do you work for any of these great companies? 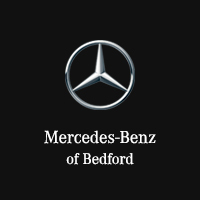 For your business, Mercedes-Benz vehicles are second-to-none. If your company has a valid Corporate Account Number you are eligible to participate in the Mercedes-Benz FLEET employee program on new purchased or leased vehicles. Your company may also participate in the Mercedes-Benz, USA Fleet Incentive Program by enrolling at www.mbusa.com or by contacting us at (704) 889-4444. For information on our Commercial Van Fleet Program, please click here. If you have a company with 15 or more vehicles of ANY make or model registered in the company name, you may be eligible to participate in this program. Please contact our dealership for more details on how we may serve you!